Is it time to update or consolidate your EDC? The Pocket Knife CRONO tool from Swiss Advance might be a consideration. 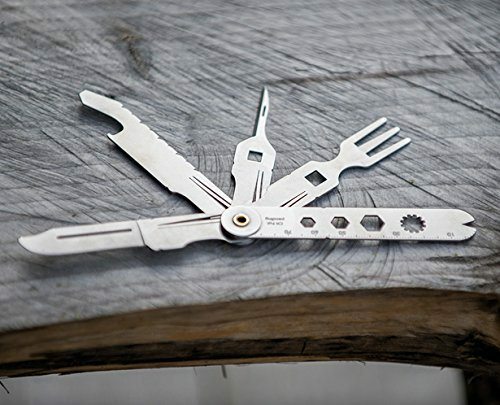 It’s a light weight flat multi-function tool made of stainless Chromium steel and blade steel. 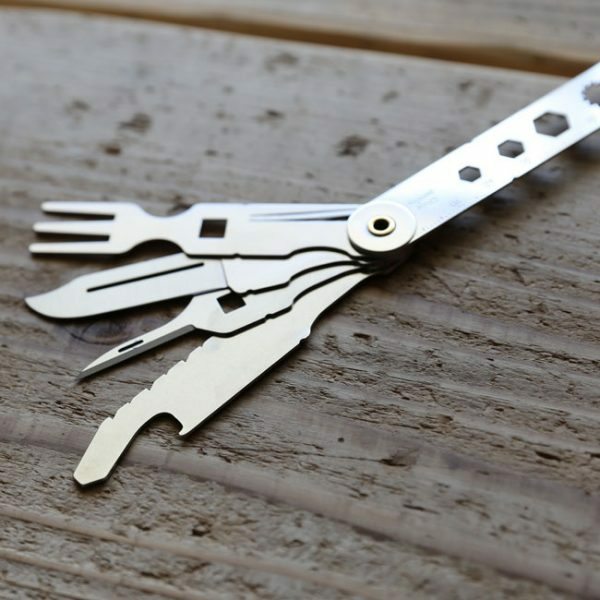 It features four blades and functions that include a bottle opener, fish scaler, wire stripper, cm-scale, hex wrenches, cheese knife blade, bradawl and sewing, fork and a screwdriver. This tool looks interesting but I’m not sure how comfortable or easy it is to actually use since the individual blades can’t be removed and don’t appear to lock into position. It does look interesting though. You can read more about the Swiss Advance Pocket Knife CHRONO at swiss-advance.com and order one for $31.49 from Amazon. I’ve been looking for a new pocket Cheese knife, I’ve been pocket cheese knifeless since the great 2005 TSA cheese scare and had mine confiscated before my flight to the Wisconsin cheese festival. A Brie moment of silence for our fallen, but hopefully it will get feta. Say I need to eat with knife on one hand and fork on the other (don’t we all?). How does this work? What a dumb idea. They want you to buy two!